BUFFALO, N.Y. -- U.S. Attorney James P. Kennedy, Jr. announced today that Gilbert Guzman, 42, of Brooklyn, NY, who was convicted of possession with intent to distribute, and distribution of, cocaine, was sentenced to three years probation by U.S. District Judge Richard J. Arcara to possession with intent to distribute, and distribution of, cocaine. Assistant U.S. Attorney Meghan A. Tokash, who handled the case, stated that between May 2017 and October 18, 2017, the defendant conspired with co-defendants Stevie Alejandro, Aaron Hill, Cleophus Dentmond, and Catherine Ramos, and others, to distribute cocaine in the Lovejoy District. On August 16, 2017, Guzman sold cocaine to an undercover police officer. 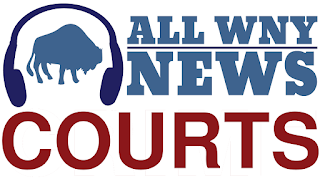 Stevie Alejandro, who operated the Barberians Barber Shop at 1132 East Lovejoy Street, which is located directly across from Buffalo Public School #43, the Lovejoy Discovery School, provided the defendant with the cocaine for this transaction. All five defendants have been convicted in this case. The sentencing is the result of an investigation by the Drug Enforcement Administration, under the direction of James J. Hunt, Special Agent-in-Charge, New York Field Division; the Buffalo Police Department, under the direction of Commissioner Byron Lockwood; the Cheektowaga Police Department, under the direction of Chief David Zak; and the Erie County Sheriff’s Office, under the direction of Sheriff Timothy Howard.